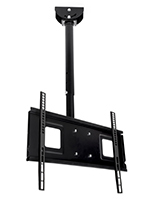 Plasma Ceiling Mounts | Ceiling Monitor Mount Fits 36" to 65"
TV Size Range: 36" to 65"
Max. Monitor Weight: 165 lbs. 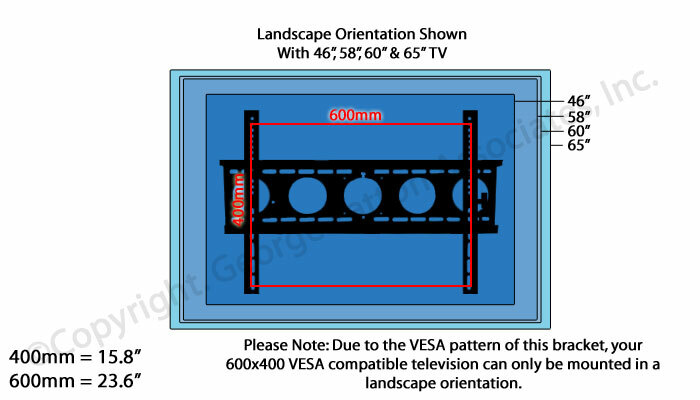 Plasma ceiling mounts are the perfect means of displaying a television in a large or crowded room! 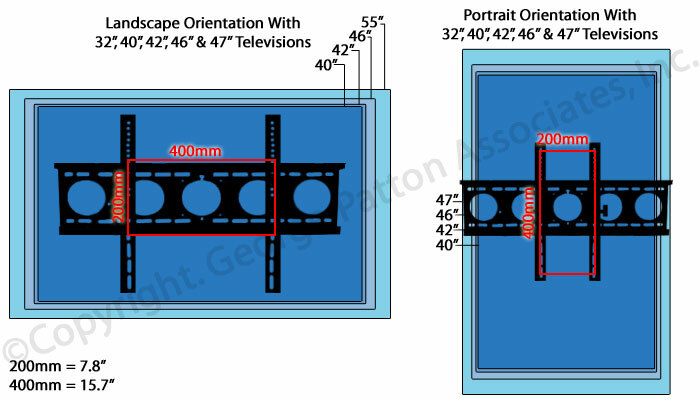 Sometimes there simply isn't enough wall space or walls are too far away to wall-mount a television. 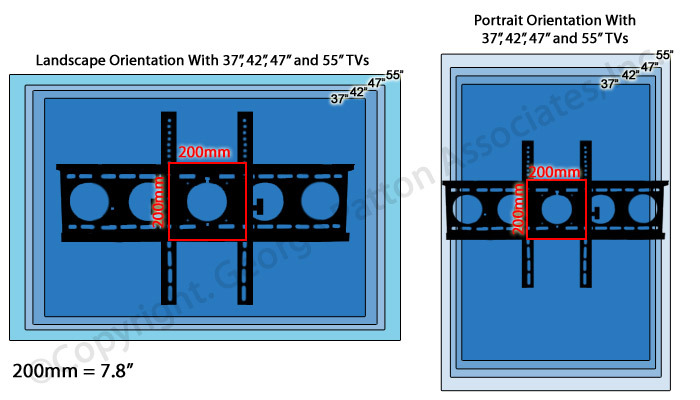 These plasma ceiling mounts, also known as adjustable plasma brackets, not only save floor area, but they save wall space too! 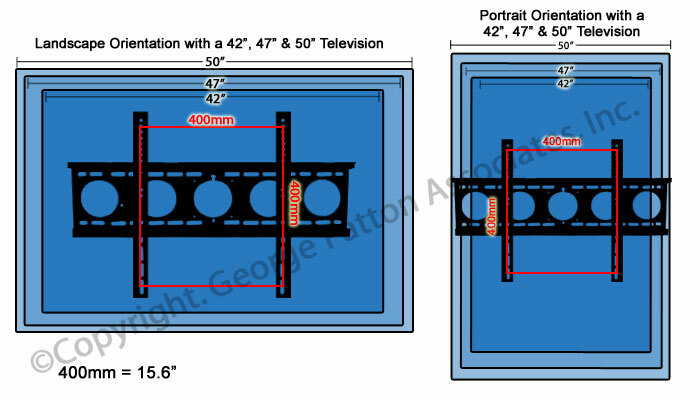 Plasma ceiling mounts are ideal for busy or crowded bars, restaurants, business or hotel lobbies and more! 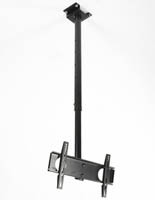 These universal plasma brackets, plasma ceiling mounts mount directly to a concrete ceiling, or into a wooden joist in a ceiling. 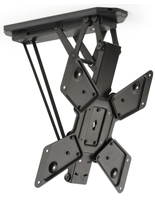 The plasma ceiling mounts feature an extendable bracket, so you can display a Plasma or LCD TV anywhere between 17" and 30" from the ceiling. 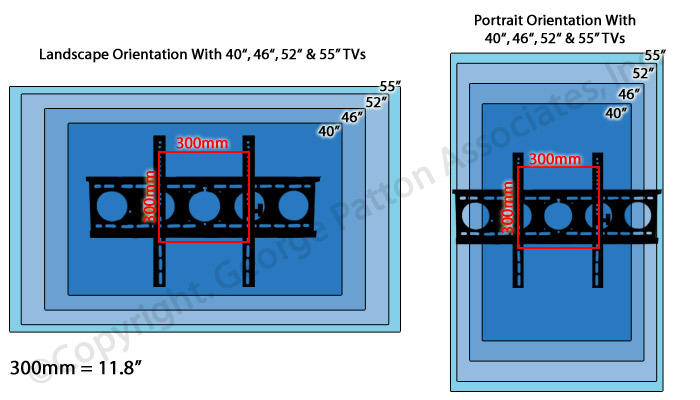 The plasma ceiling mounts tilt downward up to 15° to minimize glare. 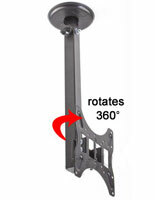 The plasma ceiling mounts are completely rotatable, swiveling 360°! 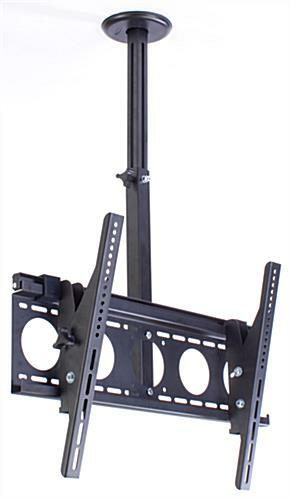 This is one of the larger ceiling mounts you'll find, capable of holding a television weighing up to 165 lbs! 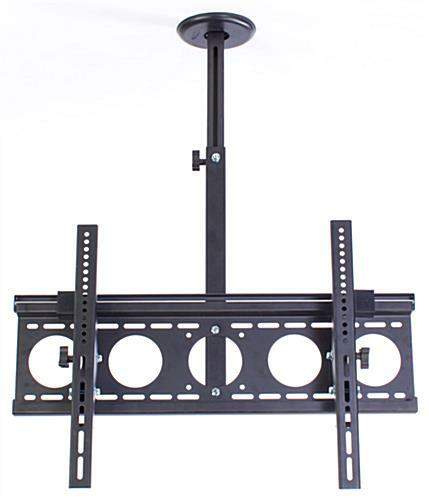 We sell these plasma ceiling mounts with all necessary hardware to mount to the ceiling, as well as affix your television to the adapter bracket (although some TV's may require specific hardware that can be found at your favorite local hardware store). We are electrical contractors and I purchase these regularly. The price and durability are perfect for my customers. Very satisfied with your products. We love to hear this! 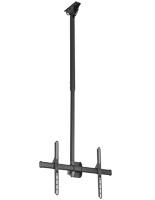 We're so happy that these ceiling TV mounts have been perfect for you and your customers. Thank you so much for your repeat business, and for taking the time to write this excellent review! Mounted on patio. Easy Install. 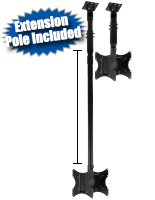 Easy to Adjust height. Easy to remove TV for storage. My TV is installed for the highest possible positioning and the top of my 42" is about 9" from ceiling. I was hoping to be almost flush with the ceiling. That is my only complaint. 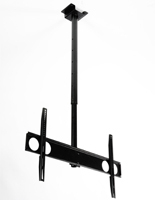 Happy with ceiling TV mount.I mounted a 65 " LG TV .Safer to mount on the ceiling than on the brick fireplace. We appreciate you taking the time to write the review, Anthony. Thank you! 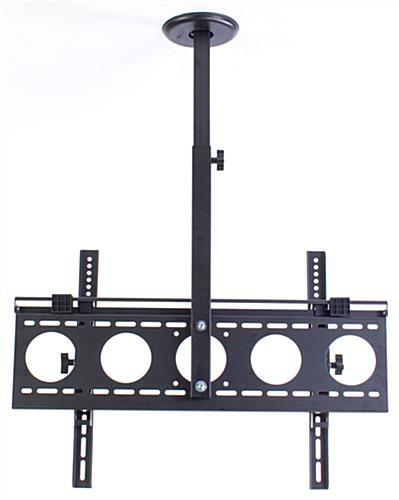 I was looking for a ceiling TV mount that would enable me to mount my 50 inch TV above a fireplace mantle. 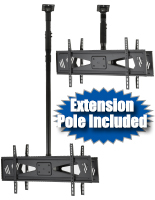 This product was great and offered the vertical height adjustment capability that I needed (very limited space above and below the TV). I did need to cut into the drywall ceiling to put in an extra support to accommodate the mounting bracket (a single 2x10 ceiling joist is not wide enough). I was concerned at first that the height tension knob and screw might not hold the weight of the TV but it has not moved at all in three months. Thanks for sharing your photo, Tom! Feel free to share a photo of it in use on our Facebook wall! We love it when our customers show off their products "in action!" Thank you for the feedback, Greg. If you need any assistance with this item, feel free to contact our customer care team and they will be happy to assist you. They are available via phone, email, or live chat.